Welcome to the July 15, 2008 edition of the Wiggly Wigglers carnival of environmental issues. travelcat4 presents Latest Invention - Pedestrian Generated Electricity posted at Latest Inventions. Yannai Kranzler presents Calling All Voices posted at Climate of Change. Jason Isbell presents Reusing the waste: Home Edition posted at Tired Garden. Julena presents Strange Days on Planet Earth and Your Makeup Kit posted at Organic Makeup and Skin Care, saying, "Just think: chemicals in tiniest doses can be more harmful then ever expected before. And "chemical coctails" are more dangerous than the ingredients on their own. And we know nothing about the combinations men created..."
Louise Manning presents LA turns to rainmakers posted at The Human Imprint. Sean Reynolds presents Climate Change posted at Creativity, saying, "We humans often like to feel that we are in control." GP presents Get Pumped to Hit the Road posted at Innstyle Montana- Come on Inn, saying, "Tools you can use to travel the road efficiently"
cheryline lawson presents Run Your Car On Water Technology posted at Run Car on Water Mix, saying, "Gas prices are currently so high that people are looking for alternative ways to save and the water fuel conversion system is quite something of interest that will help with saving the environment." Marilyn Terrell presents The Trek Against Trash posted at Intelligent Travel, saying, "Two young people hiking the long distance Appalachian Trail in the US, picking up trash [i.e. rubbish] as they go." Tip Diva presents Tip Diva Top Ten Tips - Recycling Old Newspapers And Magazines posted at Tip Diva, saying, "If you have old newspapers or magazines and don’t know what to do with them, don’t fret - there are plenty of ways to recycle your pile"
Tip Diva presents Tip Diva Top Ten Tips - Reusing Chinese Takeout Containers posted at Tip Diva, saying, "When you receive Chinese, Japanese or other takeout food in plastic containers, do not throw them out after consuming your wonton soup. They are versatile and can be employed for many different uses"
Deanus presents Electric Fetish from Monaco posted at Green Supercar, saying, "Green traffic, right way, right price?" Roger presents Exxon crude oil $US45.45: US Supreme Court ruling posted at typing is not activism...., saying, "Hello! Plenty of other enviro-bits to pick from on-blog. Have a crack at the tag cloud if curious :)"
Idiot/Savant presents Climate change: the Garnaut report posted at No Right Turn, saying, "A quick look at Australia's Garnaut Review of climate change policy." Amanda Harris presents The Green Glass Company posted at Pajama Mommy. NAOMI presents PRINCE CHARLES RUNNING HIS CAR ON WINE posted at Diary From England. Leon Gettler presents Clueless on environmental risk posted at Sox First, saying, "You would think at a time when the world is aware of the effects of climate change, that companies would be getting ready with some risk analysis. Think again. A new report from the Economist Intelligence Unit shows that companies are struggling to get their heads around environmental risk." Louise Manning presents Corruption in the water sector posted at The Human Imprint. Jess presents 10 Simple Steps Towards Sustainability posted at Sustainable Suburbia, saying, "In this article I discuss ten simple things people can to right now to make their lifestyle more sustainable." Peter Jones presents Climate Change, Drought, and Indigenous Peoples: The Current Situation posted at Indigenous Issues Today. John presents Coal vs. Wind in Appalachia posted at A DC Birding Blog. Leon Gettler presents Conflicted consumers and the greenwashers posted at Sox First, saying, "The rise of the green consumer explains why greenwashing has become such an issue"
It was a very sad day on Thursday as it was Jodie's last day after 12 years of working for Wiggly Wigglers. To mark the occasion, the team went out for a slap up meal at The River Cafe at Glasbury. Heather had laid on a little surprise - a taxi, with a difference, home. It came with a few extras ie a hamper complete with champagne, a cornetto and last, but not least, two rather hunky young men. Are there elephants and hummingbirds in your garden? 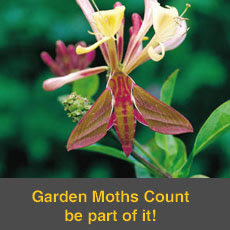 Garden Moths Count runs from 21 June – 6 July 2008 with the aim of stimulating interest in moths which will ultimately assist in the long term conservation of the rich variety of species we have in this country. Moths, like their flashier butterfly friends, are great pollinators and make a significant contribution to our ecosystems, but are often overlooked. 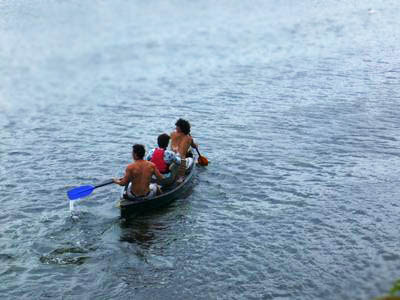 They are also provide valuable food for many animals and birds, including bats. To find out more about getting involved in the Garden Moths Count take a look at the Butterfly Conservation site. If you think you are too late for this year’s count, how about making a note in your diary for next year, or perhaps joining a group in your area? 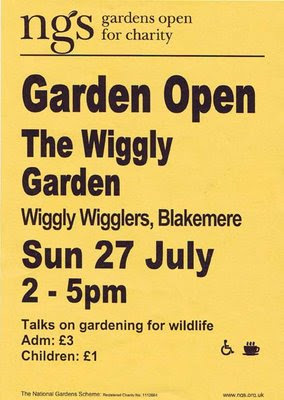 Welcome to the July 1, 2008 edition of the Wiggly Wigglers carnival of country living. Jennifer presents redrocksunrise - June 10th, 2008 posted at Famous Restaurant Recipes. Mike Remer presents Oh, Oh! Here Come the Holidays and the Cold Weather My Path To Fitness Blog posted at My Path To Fitness Blog. Louise Manning presents Thoughts on community posted at The Human Imprint. Storm presents Gardening For A Sustainable Planet posted at Ways To Simplify. Magnolia presents Clean It Up posted at Things We Should Do Better. Dora Renee Wilkerson presents Y-2K Hippie: 06/19/08 posted at Knitting, horses, and my family., saying, "I just posted about some of the things I did with my parents when they came to visit me. We did things like make Berry Berry Jam, cream cheese, and shampoo." Jen Carlile presents Hot and Spicy Pickled Eggs posted at Modern Beet. Stephanie presents Cherry Cobbler posted at Stop the Ride!. Louise Manning presents Open Farm Sunday posted at The Human Imprint. Stephanie presents Basic Canning Equipment posted at Stop the Ride!. Kalin presents Party Crasher : El Blog De Kalin posted at El Blog De Kalin, saying, "Some horses live to keep you on your toes." GP presents Innkeeping Heloise Style posted at Innside Montana-Your Home at the Range, saying, "innkeeping ala Heloise"